I think many people are curious what I eat due to my multiple allergies. I thought I would share with you another one of my favourite meals. 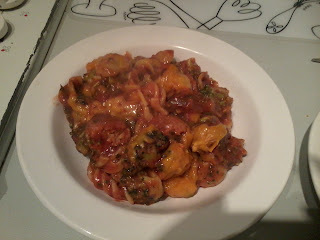 I don’t have a recipe for this one because I have adapted it to my own taste but it is based on a pasta bake. Sausages (x2) – I love Linda McCartney sausages, a good vegan sausage is very hard to find and in my opinion these are the best. Pasta Sauce (half a large jar) – use whatever pasta sauce you prefer there are no rules. I often stick to Tesco as it is free from my allergens. In case anyone was wondering I know there are sauces marketed specially for Pasta Bakes but they are not Sugarpuffish friendly. Cheese (handful) – optional, Tesco dairy free medium cheese is my current favourite. I cook the sausages, pasta and veggies as instructed on the packets. When they are cooked I drain the pasta and veggies and chop up the sausages to bite size portions. 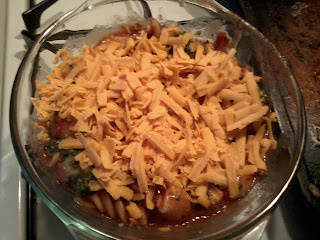 Next I mix the pasta, veggies and sausages together and stir in the pasta sauce. 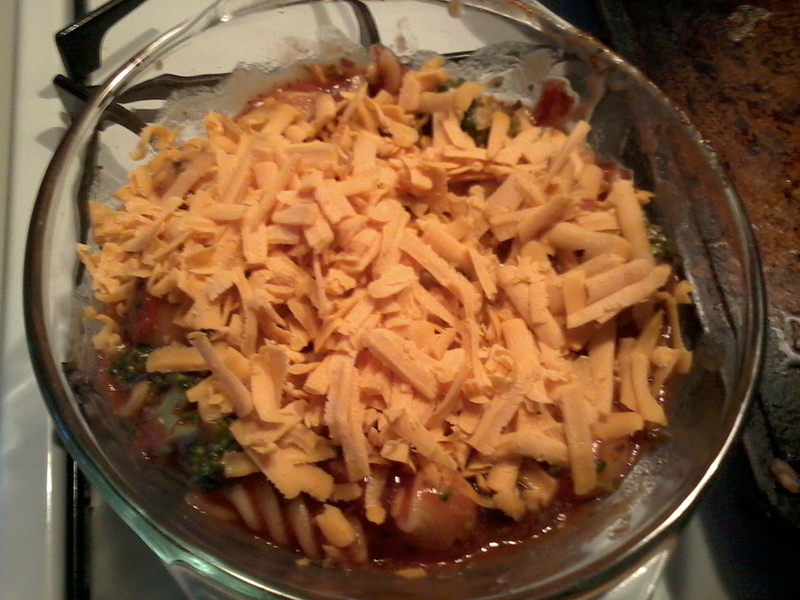 Put everything into an oven proof dish and sprinkle cheese on the top. Then pop the dish into the oven for about 15 mins, enough time to heat the sauce and melt the cheese as everything else is cooked. This is extremely simple meal but I think it is very yummy. Thanks & let me know what you think of my culinary delight :) I'm ok, you know how it is plodding along.